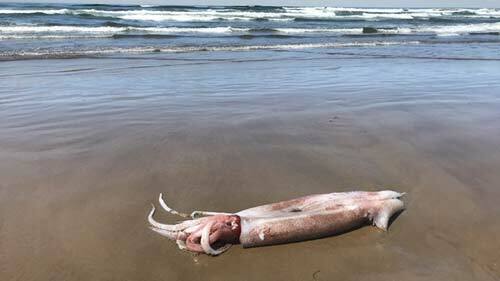 (Cannon Beach, Oregon) – A real rarity washed up on a north Oregon coast beach on Friday, with the crew from Seaside Aquarium responding to a report of a 10-foot clubhook squid just south of Cannon Beach. (Photo by Allysa Casteel / Seaside Aquarium). 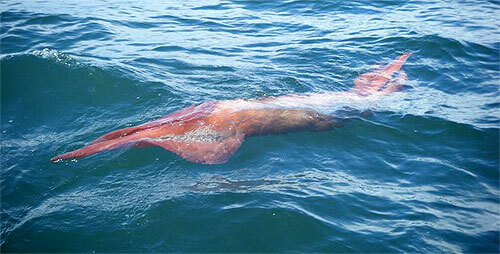 Not much is known about this kind of squid, except that it certainly isn’t common off the waters of the Oregon coast. It’s mostly known to be in the warmer parts of the Pacific between California and Japan. “It’s the first I’ve ever seen,” said Seaside Aquarium manager Keith Chandler. The aquarium’s head curator Tiffany Boothe said the creature was 90 pounds and had washed up at Silver Point, which is where the big lookouts are just south of Cannon Beach. It’s commonly known as a robust clubhook squid (Onykia robusta). The squid’s mantle – the body-like area – was four feet in length. 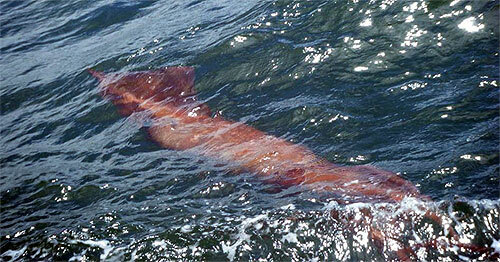 While this one was just over 10 feet long, they can get to 12 feet in length. 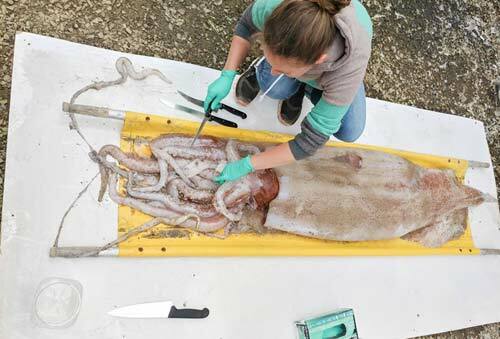 Boothe said the robust clubhook is the third largest squid, with the colossal squid and the giant squid able to grow up to and beyond 30 feet long. 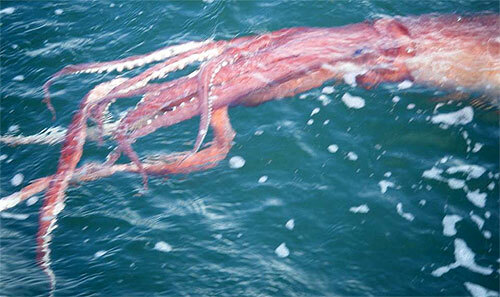 The clubhook squid is often mistaken for the Humboldt squid, which can get almost as large. This type of squid has led a slightly confusing existence in the annals of science. It was in recent years reclassified and given a different scientific name, formerly known as Moroteuthis robusta. It is known as an important prey in the diet of sperm whales. Boothe took the opportunity to do a bit of public dissecting of the creature, showing off its innards to a small crowd on the beaches nearby.